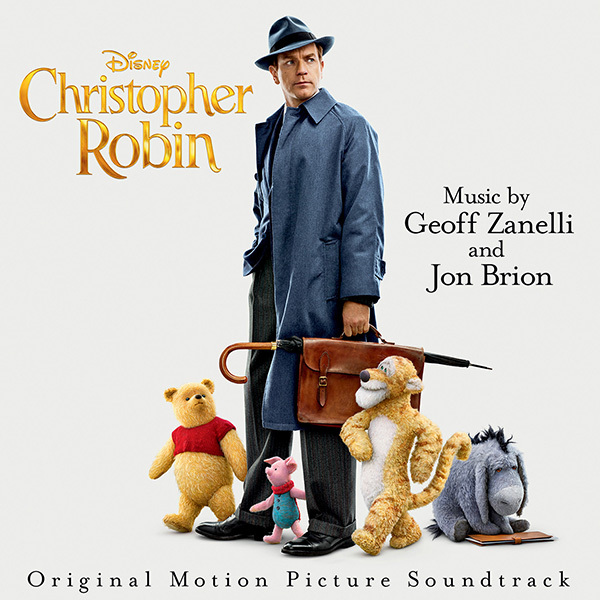 Walt Disney Records is set to release Disney’s Christopher Robin Original Motion Picture digital soundtrack on August 3. The score features music by Emmy® Award-winning Geoff Zanelli (“Into the West,” “Pirates of the Caribbean: Dead Men Tell No Tales”) and Grammy®-nominated composer Jon Brion (“Lady Bird,” “Trainwreck”). Disney’s “Christopher Robin” is in theaters nationwide also on August 3. Disney legend Richard M. Sherman wrote both the music and lyrics for the three new songs which appear in the film. The song “Goodbye, Farewell,” which is performed by Winnie the Pooh and friends from the Hundred Acre Wood, can be heard in the opening scene. “Busy Doing Nothing” and “Christopher Robin” are both performed by Richard Sherman himself and appear in the end credits. Milan Records: "Heartthrob Chassis - Arrhythmia"
Walt Disney Records: "FREAKY FRIDAY"
Kino Lorber: "Grace Jones: Bloodlight and Bami"
RLJ Entertainment: "TRENCH 11" on DVD! KRONOS RECORDS: "3 NEW GREAT SCORES"